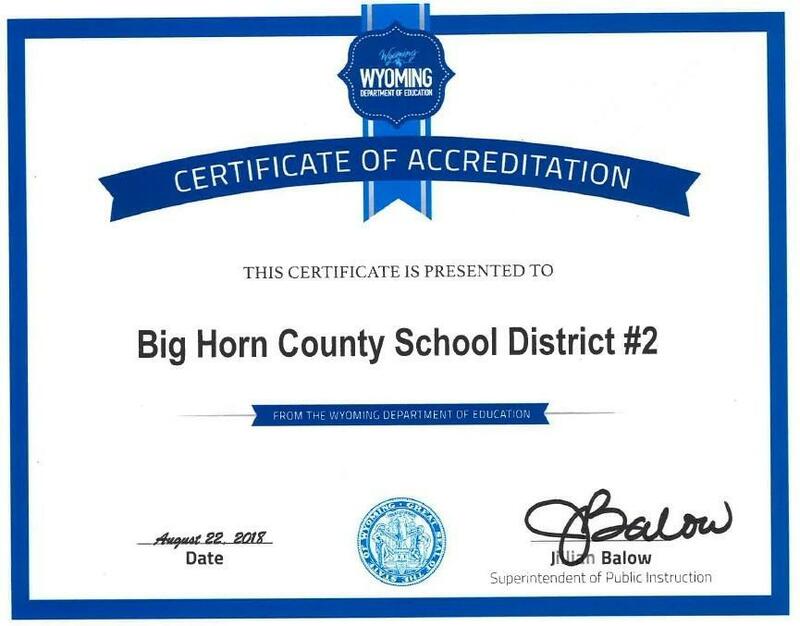 The schools at Big Horn County School District #2 are accredited by the Wyoming State Board of Education annually. The Certificate of Accreditation verifies our status granted by the Wyoming Department of Education (WDE) in 2018. In addition, we have provided the WDE Accreditation letter for 2018. Accreditation Criteria: As part of the requirements for accreditation, the district completes annual assurances and provides supporting artifacts that verify adherence to statute, rules, and regulations. We have provided an assurance checklist that lists the various accreditation criteria along with links to show the evidence to support those requirements.